Whenever I'm in an antiques store, at a car boot sale or flea market, the three things that I'm always drawn to are Russian dolls, vintage tins and globes. I blogged about Laura Ashley's washed out, minimalist white globe last year (saying that I've been after one for years) but still don't own one. 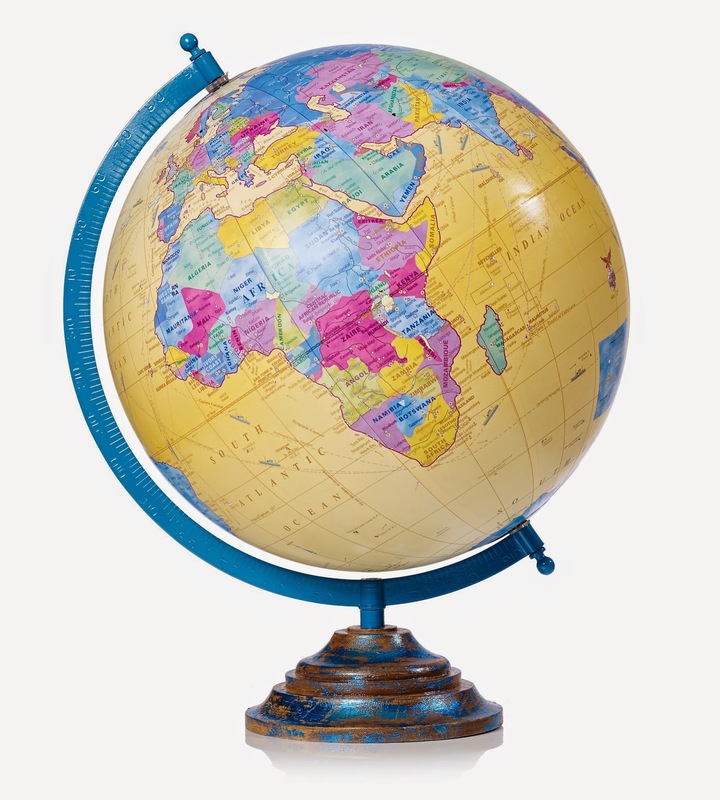 On the other end of the colour scale is this vivid globe from Oliver Bonas. There are three - the large yellow one, medium white one and small green one, with brightly coloured markings, a rustic finish and wooden base. I prefer the big yellow one, which would add a great pop of colour to a neutral room and make a great gift for chic travellers or those with a serious dose of wanderlust. Just spin and pick your next destination.